Shortly after 4:30 a.m. on June 9, 1863, Brig. Gen. John Buford’s Union cavalry division crossed the Rappahannock at Beverly Ford and engaged a Confederate brigade under Brig. Gen. William E. “Grumble” Jones. Buford’s horsemen soon gained the upper hand, however, Jones was able to hold on long enough for Maj. Gen. Jeb Stuart to establish a new line along St. James Church Ridge to meet the Federals. Throughout the next several hours, Buford probed this position. Late in the morning, a new front opened up when Brig. Gen. David Gregg’s division arrived in Brandy Station and threatened to trap Stuart between his troopers and Buford. The Confederate cavalryman skillfully shifted Jones along with elements from Brig. Gen. Wade Hampton’s brigade to meet this new threat. For much of the afternoon, Jones and Hampton clashed with Gregg’s brigades, under Cols. Percy Wyndham and Judson Kilpatrick for control of Fleetwood Hill. 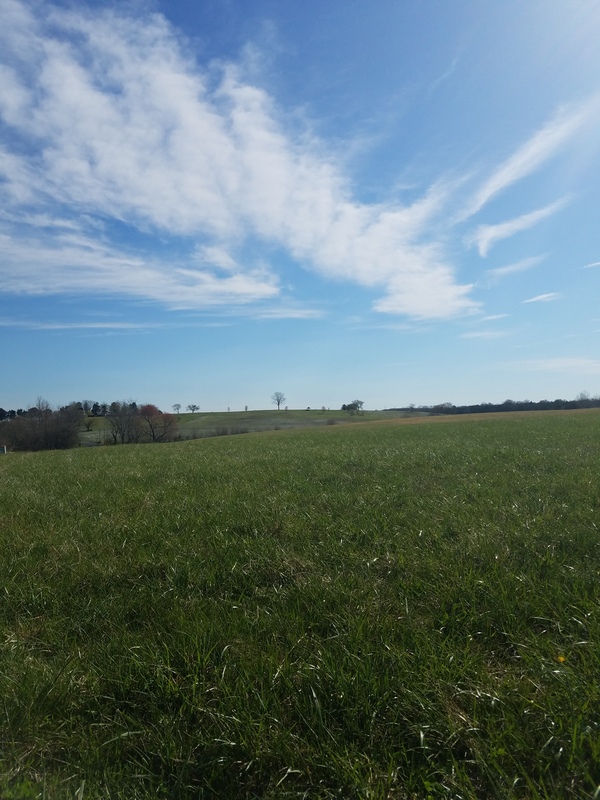 This high ground would not only become the epicenter of the Brandy Station battlefield but was the quintessential cavalry action with both sides launching mounted charges and counter charges against the other. William Lloyd, Adjutant of the 1st Pennsylvania Cavalry in Wyndham’s brigade provides a description of the fight. After several hours of fighting, Stuart managed to hold on and keep Buford and Gregg at bay. Late in the afternoon, the Federal cavalry withdrew back across the Rappahannock. Fleetwood Hill will be one of the stops during this year’s ECW Symposium Tour. You may register for the Fourth Annual Emerging Civil War Symposium here. For more information on the tour, you may click here. This entry was posted in Battlefields & Historic Places, Battles, Campaigns, Cavalry, Leadership--Confederate, Leadership--Federal, Primary Sources, Symposium and tagged 1st Pennsylvania Cavalry, Brandy Station, David M. Gregg, Fleetwood Hill, JEB Stuart, John Buford, Judson Kilpatrick, Percy Wyndham, Wade Hampton, William E. "Grumble" Jones. Bookmark the permalink. That is a stirring quote. Unfortunately, it’s not an accurate description of the approach of Wyndham’s Brigade, and it’s not by Sergeant Moyer. I too was excited to find his “first-person” description, but then I realized that, in a bit of creative plagiarism, Moyer had lifted the words from page 54 of William P. Lloyd’s history of the 1st Pennsylvania. Other paragraphs in Lloyd’s history (written in the winter of 1863-64) give more accurate details of the 1st Penna’s role in the fight. Bud Hall and I are parsing out the details of Wyndham’s fight as I finish up a new history of the 1st Penna. To me, the evidence contained in fragments and phrases from the published reports and histories, as well as unpublished letters and diaries, indicates a somewhat different angle of approach to the hill, a separate seizure of the station by a battalion of 1st Maryland/1st Penna squadrons, and the attack by the 1st New Jersey and 1st Penna. in battalion front rather than regimental front (while the 1st Maryland had only a squadron or three companies on the hill). Details aside, you are correct in celebrating the bravery demonstrated by so many men on Fleetwood Hill. Thanks, Andy for sharing and for the clarification. I’ve also found that it is not uncommon for soldiers to use other accounts as their own from or in regimental histories. In this case, Moyer was writing in the National Tribune. I went back and updated the post and quote from Lloyd’s book. I look forward to your book on the 1st Pennsylvania Cavalry.